That’s right, GE Appliances, a Haier company, is hiring a professional Grandma. It’s a one-year, paid gig to help the company demonstrate how simple life can be with new technology in the kitchen. The search launches today at the Consumer Electronics Show (CES) in Las Vegas as part of the introduction of the GE Appliances Kitchen Hub. You can help us find the perfect Grandma by sharing the job posting for this unique position, which celebrates all the hip, fun and energetic grandmothers out there. Today, 30 “Grandma interns” will audition for the Great American Grandma at CES as the job listing is posted across the country and the search begins. The only application needed is a short video telling us about why Grandma should be chosen. In an effort to bring to life the human element of the industry-first technology of the Kitchen Hub, GE Appliances is casting this new role. Grandma—the stereotypical antithesis of technology—can now cook in the kitchen with us, virtually. 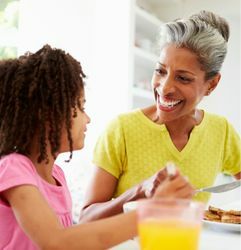 GE Appliances wants to celebrate nontraditional Grandmas with stylish flair and highlight candidates who represent diversity and help sustain cultural legacies through food. The candidate selected for the job will embody the new cultural age of Grandmas who know age is only a number. 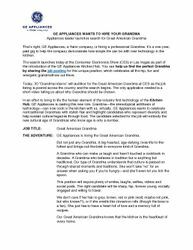 THE ADVENTURE: GE Appliances is hiring the Great American Grandma. But not just any Grandma. A big-hearted, age-defying, lives-life-to-the-fullest and brings-out-the-best-in-everyone kind of Grandma. A Grandma who can make us laugh and hasn’t touched a cookbook in decades. A Grandma who believes in tradition but is anything but traditional. Our type of Grandma understands that culture is passed on through shared moments and traditions. She won’t take “no” for an answer when asking you if you’re hungry—and she’ll even let you lick the spoon. This position will require plenty of smiles, laughs, selfies, videos and social posts. The right candidate will be sharp, hip, forever young, socially engaged and willing to travel. We don’t care if her hair is grey, brown, red or pink (well, maybe not pink, but who knows?! ), or if she smells like cinnamon rolls (though the boss is a fan). She just have to have a heart full of love and a memory full of recipes. Our Great American Grandma knows that the kitchen is the heartbeat of every home. Sound like you, or a Grandma you know? 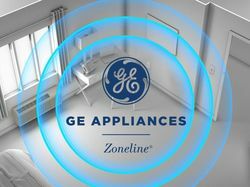 COMPENSATION: $50,000 salary as a contracted employee for 10–15 hours a month—March 15, 2019–March 15, 2020—plus five brand-new, top-of-the-line GE Appliances kitchen products. Additional opportunities possible. TO APPLY: Candidates should visit www.greatamericangrandma.com to submit a video about why they are the Great American Grandma. No résumé needed. Include the grandkids (or not). Friends and family can also submit applications on Grandma’s behalf by submitting interviews with their squeezable, lovable, witty, cantankerous, fashionable, camera-loving, foodie, edgy matriarch. By submitting an application, applicants grant GE Appliances the right to publish their video submissions on its website and social media channels and use their names and images in all forms and media including composite or modified methods throughout the world and in perpetuity.